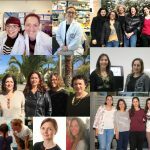 Metafluidics YES, Proteins and Microbes do have Superpowers!! 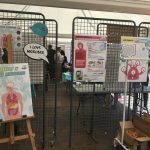 Hundreds of children and adults took part and had fun while learning about microbes in the Science in the City Festival last week in Toulouse, France. 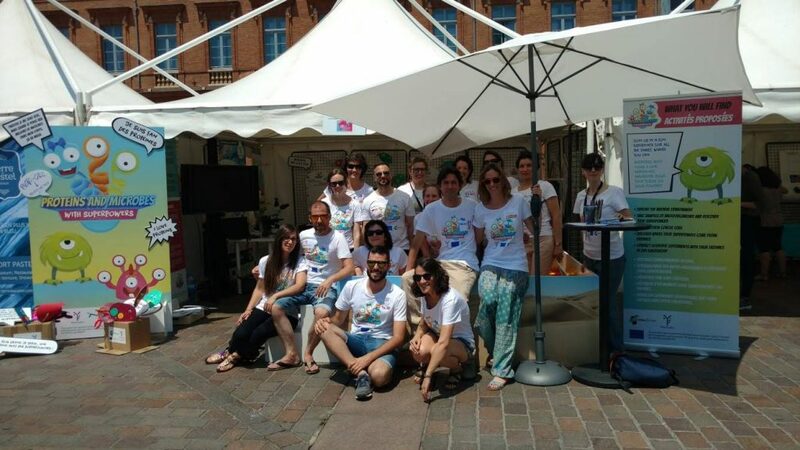 From July 9 to July 12, some of the MetaFluidics partners were present in Toulouse for the Science in the City Festival, the general public event of the EuroScience Open Forum (ESOF) Congress. 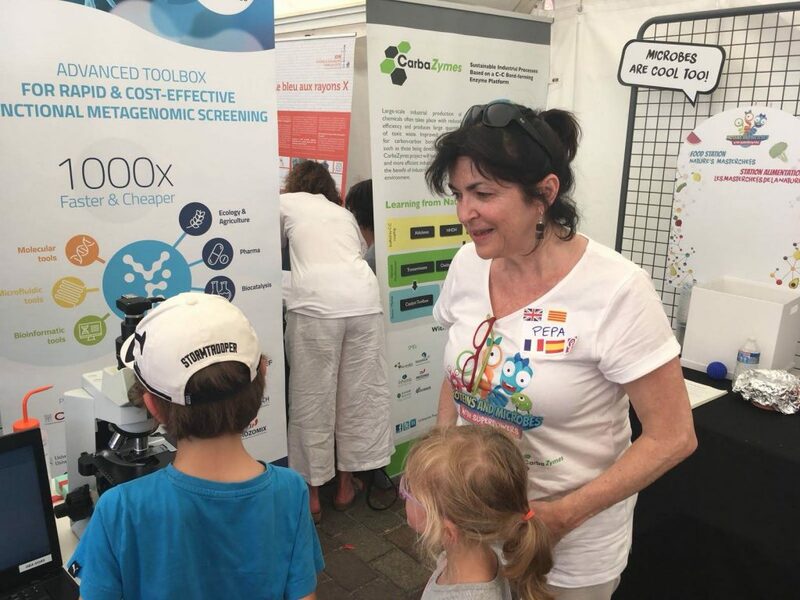 For 4 days on the Place du Capitole, children and adults could discover the many different uses of microbes and proteins in our daily life as part of the « Proteins and Microbes with Superpowers » activities, co-organised by Horizon 2020-funded projects MetaFluidics and Carbazymes. 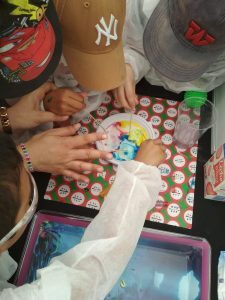 To begin with, after being briefed on what we, as scientists, do in MetaFluidics and Carbazymes, children and adults were invited to join our microbiology team to go and explore the environment in search for microbes with specific characteristics. 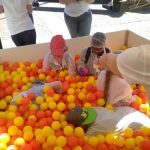 The “environment” as such was represented by a ball pool, which was very much appreciated by all visitors (as well as the scientists involved! 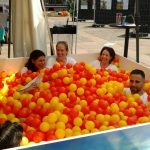 :-)). 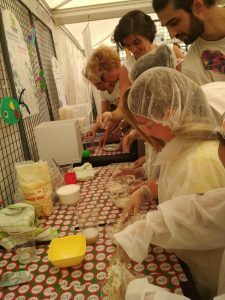 They also learned about how microbes are useful to prepare and preserve some very tasty food products like cheese, bread and wine (Yes, ESOF was organized in France this year! 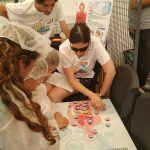 ), and mimicked the use of microbes in several depollution processes. 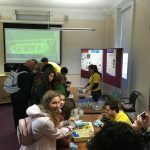 And last but not least, adult visitors learned that all these microbial abilities are due to the production of a battery of enzymes with superpowers, and they were introduced to how cells decode DNA and how enzymes can be synthesised in large scales to help us live better!